Amazon AWS is a computing platform recognized all over for its cloud based services and applications. Amazon AWS services began in 2006 and since then these services have been known for the most effective remote or distant cloud based services. 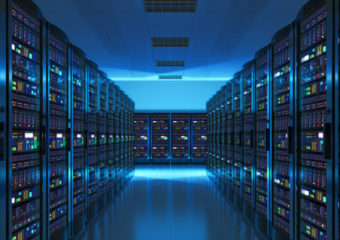 Amazon Web Services, with its exclusive features such as high storage, low-cost computing, high-performance databases, have managed to become the top most need of many business houses, non-profit organizations or individuals. Amazon AWS Training can give you a complete exposure to this technology and it's usage. AWS Certification Training will empower you with the niche skills that every AWS certified professional enjoys. The course is comprehensive and is a detailed account of the AWS technology and how it is used to create the most powerful cloud-based solutions. The training focuses on AWS storage, its computing and networking powers. This hands-on training will make you master the skills of designing and developing cloud based applications using AWS. These jobs are highly paid and it’s a matter of prestige that the biggest global names are associated with Amazon AWS. What will you learn in the Amazon AWS Certification Training Course? Who should opt for AWS Training Classes? What are Access Keys and Security Credentials? How to create DynamoDB tables and indexes? 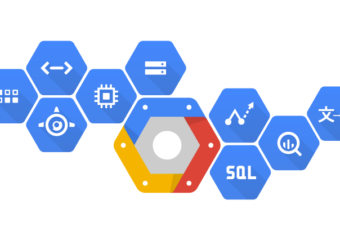 What is Lambda and Kinesis? What is Simple Notification Service? Ad2Brand offers the best Amazon Web Services Training in Pune with industry-best experts. Amazon Web Services (AWS) is a business architecture that enables companies to shift their entire on-premise architecture to Cloud environment. Accredited AWS training courses can be very beneficial for your company’s transition and we provide quite an effective Amazon AWS Training & Certification Course. As a matter of fact, our professional faculty is highly experienced & has been working on the Amazon Web Services technology for years now. Being aware of the industry needs, Ad2Brand has emerged as the best Amazon Web Services Training Institute in Pune, offering Amazon Web Services training with a practical exposure and hands-on practice. Our team of trainers offers both Amazon Web Services Classroom and Corporate training. Our Amazon Web Services course content is designed in such a way that it covers all the basic & advanced level concepts in AWS and gives an exposure to real time situations. Our AWS course content consists of all topics such as fundamentals of AWS cloud computing, AWS Management console, Amazon Networking Services, Amazon Compute, Amazon Storage service, Amazon Application Development, Content Delivery, Amazon API, Amazon Access Management and other Amazon supporting tools. Ad2Brand offers certification oriented Amazon Web Services training in Pune. At the end of the training, you will feel confident and you will be all prepared to clear all types of interviews. AWS training will teach you to deliver cloud-based solutions and applications using Amazon Web Services. Our pre-training introductory session will give you an idea on the Business Essentials and how cloud-based strategy can prove beneficial for your business. This course is useful for IT industry leaders and professionals who want to make their careers in AWS as Solutions Architect, AWS Developer, Business Decision Maker or a SysOps Administrator, putting to use the knowledge on how to design, deploy and operate applications and infrastructure in AWS cloud. AWS training will give you an understanding of AWS products, services & common solutions & will give you the skill set to make informed business decisions about IT solutions. Why should I take up Amazon AWS training from Ad2Brand? 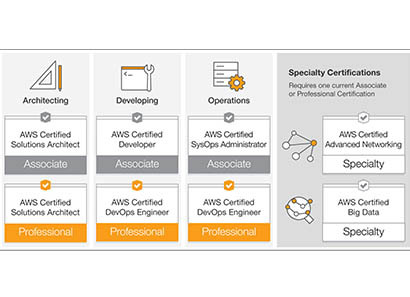 Our AWS course curriculum is designed by experts and gives all the skill set needed to clear the Amazon Certified Developer Associate Examination. We ensure that you get enough of hands on practice working on the latest amazon web services platforms which are being used in the corporate world to prepare you better for working with Amazon Cloud. Our trainings and real time AWS projects will equip you with the best practices and in depth understanding of AWS concepts. Upon course completion, you will be confident enough to start your career by applyting in top MNC's for job roles with good salary packages. Who will be my trainers? We have best trainers who are highly qualified and certified and have relevant industry exposure in their fields of expertise, capable of solving all your practical queries. We give you access to video lectures and recorded sessions with all the course content, you can cover up referring to these. How do you conduct Labs? We help you to install all required software licensed versions for practicals on your machine and give you credentials to use them during your practice sessions. Can I attend demo session before joining the Amazon AWS training and will I get placement assistance? You can attend a demo session to understand the subject, see the quality of training and interact with the trainer regarding queries to decide your career path. 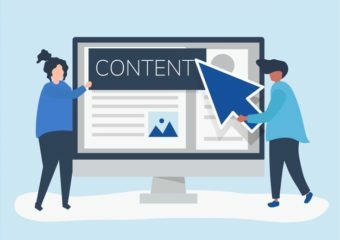 We at Ad2Brand ensure to give you the best training experience with top content and trainers, we also prepare you for interviews and resume preparation and equip you with the best skills in the subject of learning. However, getting the job will depend upon your presentation of skills at the time of interview. If I find any difficulty in grasping topics, will I get any extra support sessions from instructors? Doubt clearance and resolution of queries is given utmost importance at Ad2Brand. You can raise n number of queries until you get a clear answers for your questions. Our trainers make sure to give individual attention to all students and one-on-one sessions can be arranged with trainers during as well as after completion of the training to get help on the needed topic. Also we make sure to maintain a limited number of students per class to maintain the quality of training and knowledge imparted. What can i expect after course completion? Upon dedicatedly learning all the Amazon AWS training course material and hands-on practice, you will gain expertise and knowledge in advanced concepts of Tableau , Qlikview as well as Data Science and feel confident enough to crack interviews to get expected jobs in data science industry. Why is Ad2Brand the best Amazon Web Services Training Center in Pune? Our training is focused on practical hands-on knowledge , real time live projects for the students. We provide full placement support right from interview preparation to sending your cv to the best companies as a kickstart to your career. Become successful professionals skilled enough to get good jobs in data science and we conduct regular doubt clearing sessions. Book Our Training Program Today!